Abstract: The maturation and development of open source technologies has made it easier than ever for companies to derive insights from vast quantities of data. In this talk, we will cover how data analytic stacks have evolved from data warehouses, to data lakes, and to more modern streaming analytics stack. We will also discuss building such a stack using Apache Kafka and Apache Druid. This talk is based on our real-world experiences building out such a stack for many use cases across many industries in the real world. 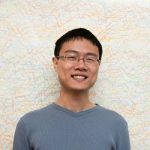 Bio: Fangjin is a co-author of the open source Druid project and a co-founder of Imply, a San Francisco based technology company. Fangjin previously held senior engineering positions at Metamarkets and Cisco. He holds a BASc in Electrical Engineering and a MASc in Computer Engineering from the University of Waterloo, Canada.